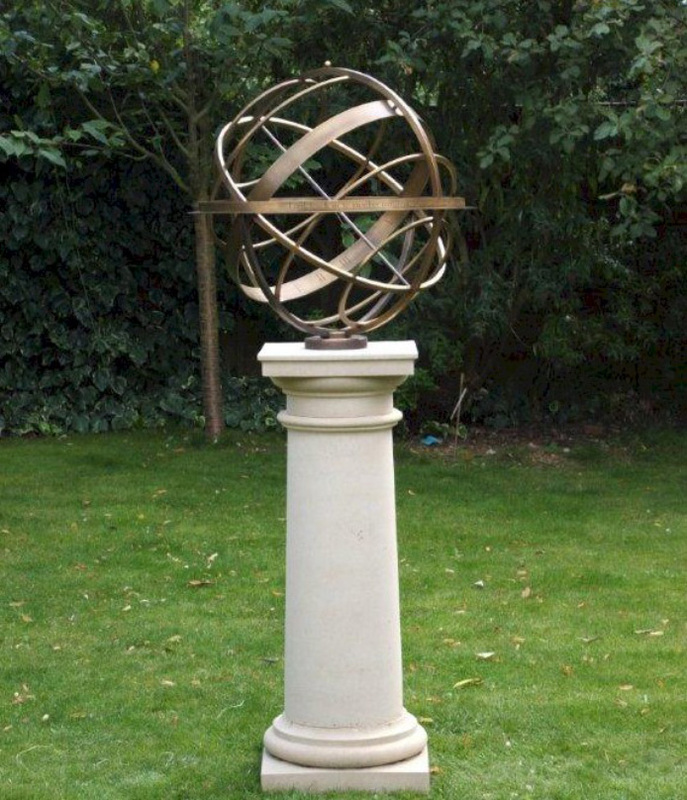 The Jupiter Armillary sundial is a complex design depicting the tropics and arctic circles, the equator and horizon band. 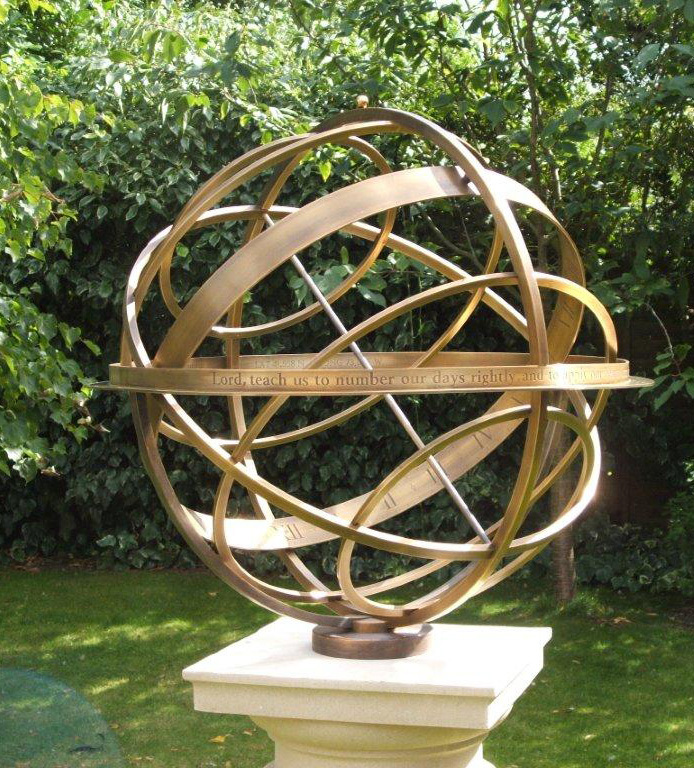 It can be made in various sizes in copper, stainless steel, brass and bronze. 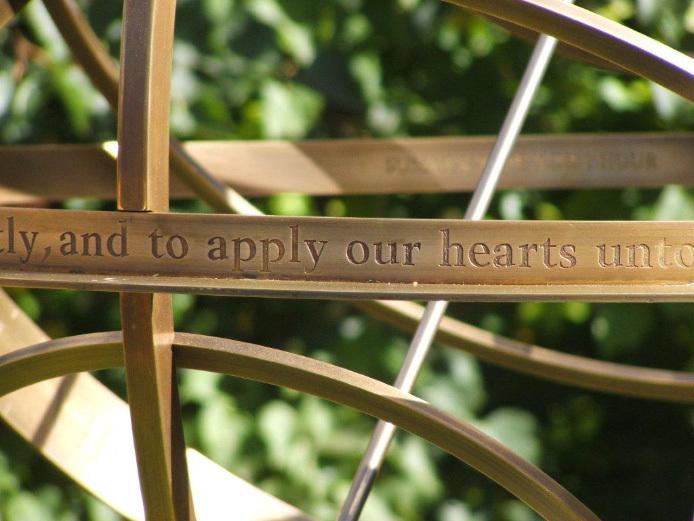 Shown here in brass. Please contact us for a quote in other sizes.